I love a loose party theme. I know that my kids might get licensed-character-attached at some point, but for now I’m trying to avoid it. I’m also avoiding jumpy places and kid gamey-machine places. But I’ve learned better than to say “I’ll never _________” because parenthood serves that back toasted, with a pickle on the side. At some point it may be the best choice. Who knows. 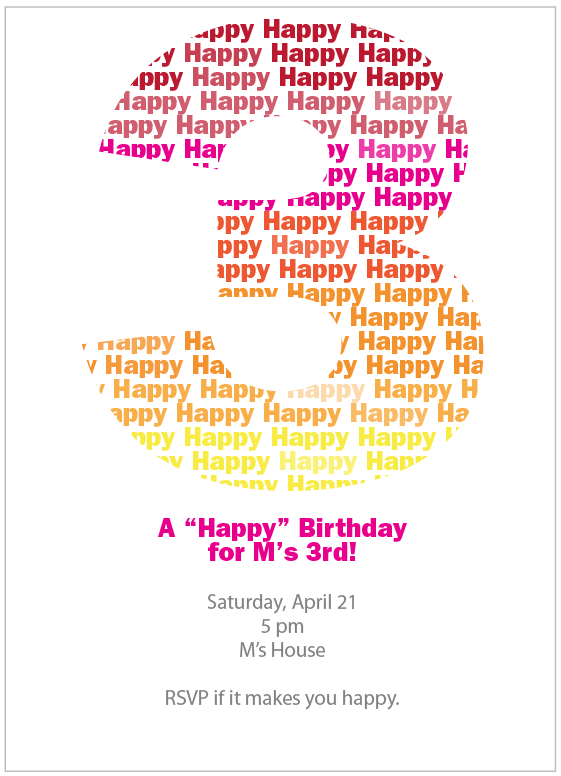 For M’s 3rd birthday, we went with “Happy” as a theme. Because she’s a happy, happy kid, and will take the time to tell you so. Out of the blue, she’ll say “Dada, I happy” with such a contented smile. I could squeeze her infinitely. 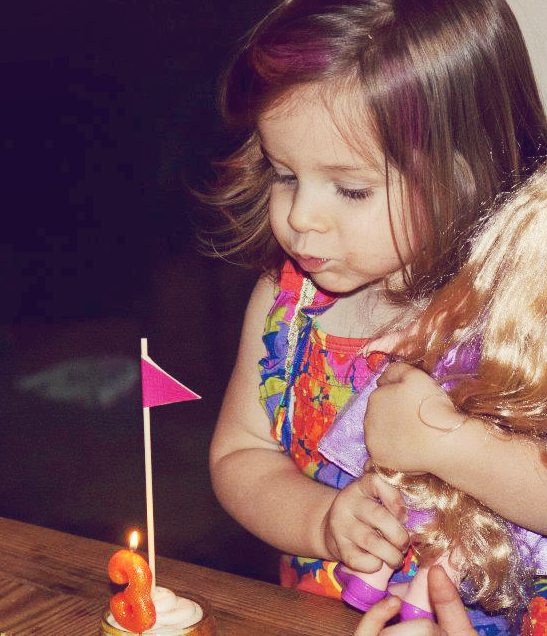 We celebrated on Saturday, though today is her for-real birthday. 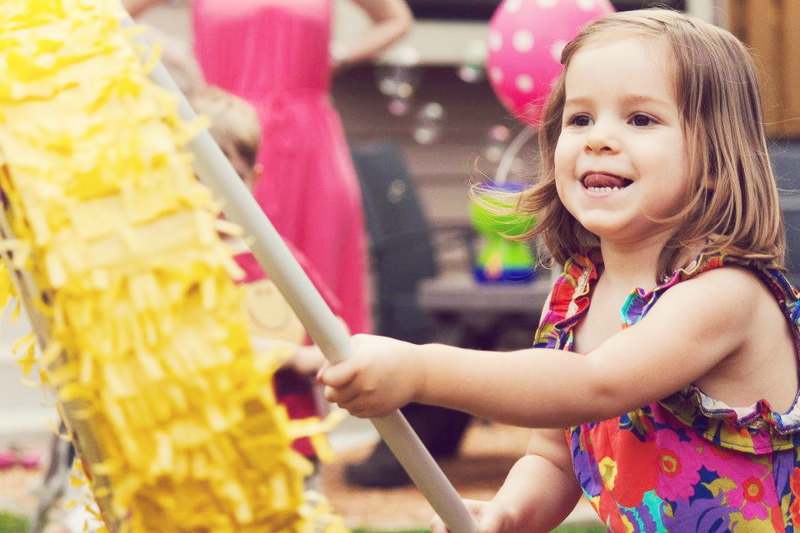 As far as a happy party, I’ve learned over the course of the 7 previous kid birthday parties I’ve hosted and countless others I’ve attended that the most important part of the whole shebang is a party coordinator, often the mom, that isn’t on the verge of losing it. Which is why I may consider the venues in paragraph 1 some day. Being a “maker” can make you crazy. 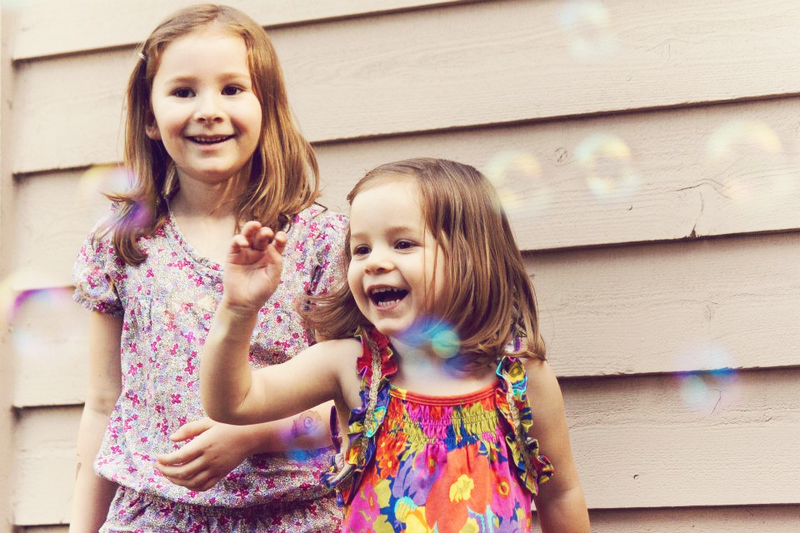 (And if you were already a creative to-do list over-doer, Pinterest is a double-edged sword.) There are so many things you COULD do, but for me, whittling it down to what was reasonable was critical. Because I’m done with feeling party crazy. So… the handmaking was pretty limited. I did the things I wanted to and very, very consciously said no to the rest. It’s amazing how hard that is to do. I want to do it all! I want them to remember how cool I am and how much I loved them and how awesome their childhood was! 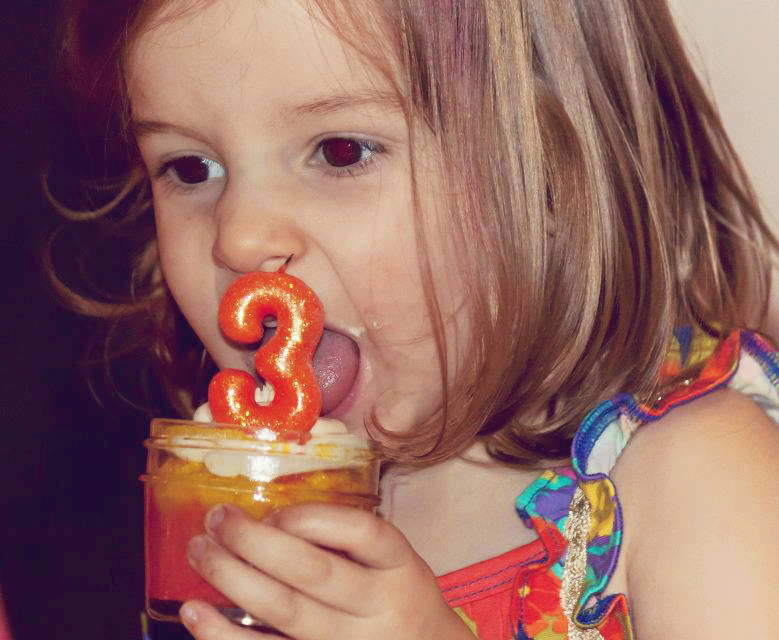 But the first thing *I* think of when I think about K’s 3rd birthday is that I almost lost my mind. Granted, I was nursing a four-month-old baby intermittently while trying to assemble the party. That was probably the hardest part. So, in no particular order, some components of this little party. First, the invite. Have I mentioned previously that I’m not an early childhood educator? I’m not. Not even a wannabe. More of a wishabe. Corraling my own two can feel like a stretch some days. So as far as party games, I keep it reeeeally simple. There were bubbles. 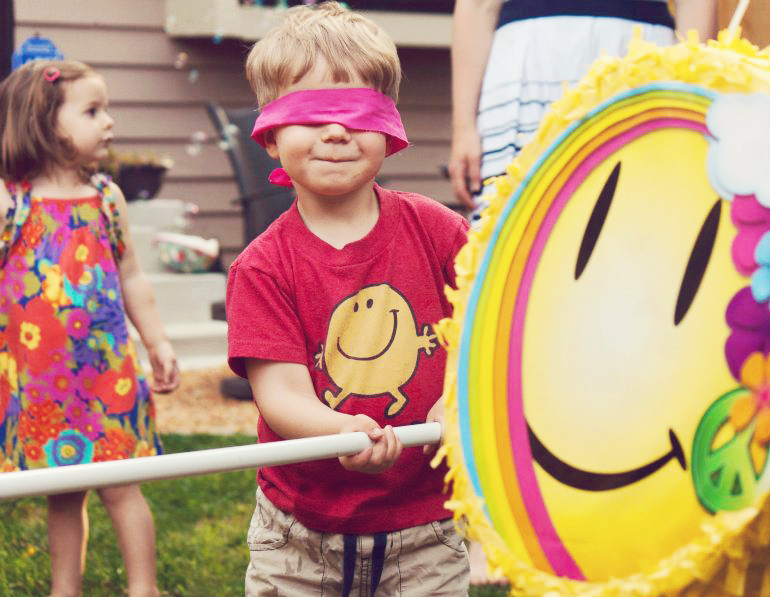 It wasn’t until the kids were beating the happy face with a stick that I realized… they were beating the happy face with a stick. So awesome. Please note his Mr. Happy shirt. He’s so on my A+ party-goer list. His mom is also on the list for taking these photos. We chalked hair. An idea I got from Natasha’s post. I did not really ponder flat ironing the hair of little kids. Nor did we spray it with anything. When the chalk was mostly gone by the end of the party, I called that a benefit. For grown-ups who want it to stay longer, it’d be a good idea. I made the cupcakes in little 4 oz quilted Ball jars. They were super cute, but I think I should’ve added a few extra minutes to the baking time since they hold slightly more than the standard cupcake wrapper. They were a little lava-cake-y in the middle but a little buttercream frosting made it hard to tell. And I have another plan for these jars that may appear on the blog someday. 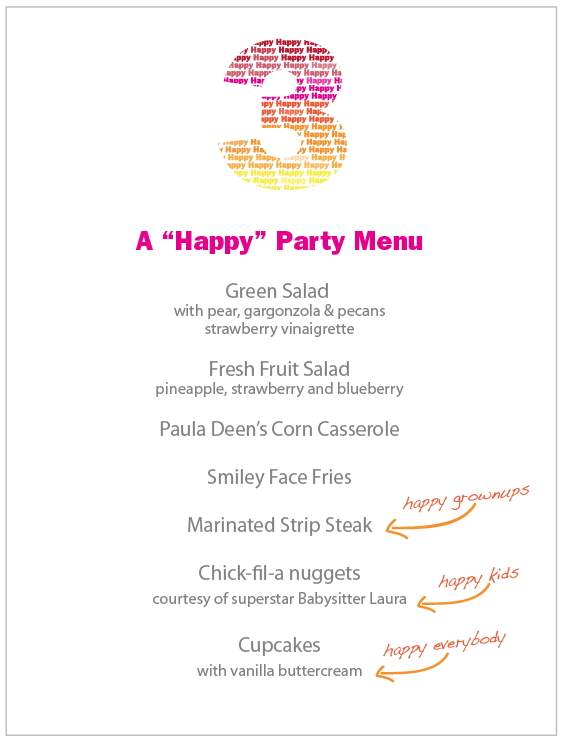 Whenever I’m figuring out party food, I try to pick whatever requires little of me during the party. And preferably little last-minute prep. I felt pretty good about this menu. No, I didn’t print this out or make fancy food labels. I put food out. People ate it. The end. For a little festive-ness I cut strips of pink and yellow fabric into streamers and hung them in the trees. I think this was my favorite decorative touch. No fantastic photos of this, but you can see them here. I could have done this with paper streamers, but they’d not have survived the rain later in the evening. And I’m happy to have these brighten the backyard for a week or two. They’re so pretty swaying in the breeze. So now M’s birthday has stretched into a long-weekend scenario. Off to celebrate the real deal by playing with the loot. 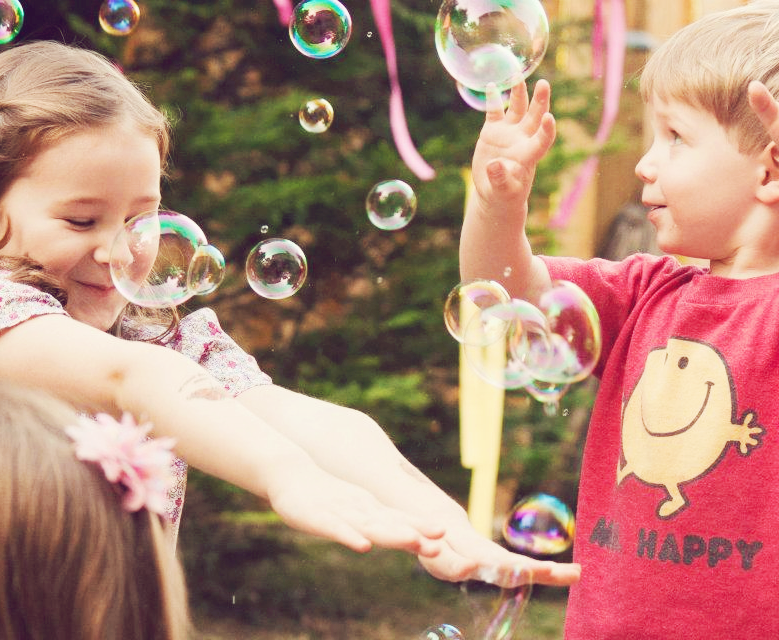 Love, love, love the bubble pictures. Next time we see each other in the real world, you need to tutorial me. I love it! It does look like the perfect theme for your girl. Happy birthday M! What a fun party. Love your theme. I love birthday parties! Which is funny because I am totally uninterested in my own and thought I would be that way with my kids (small family thing only) … but micahs 1st has already blown that one out of the water! I think it’s more that I just love a party and a reason to decorate.